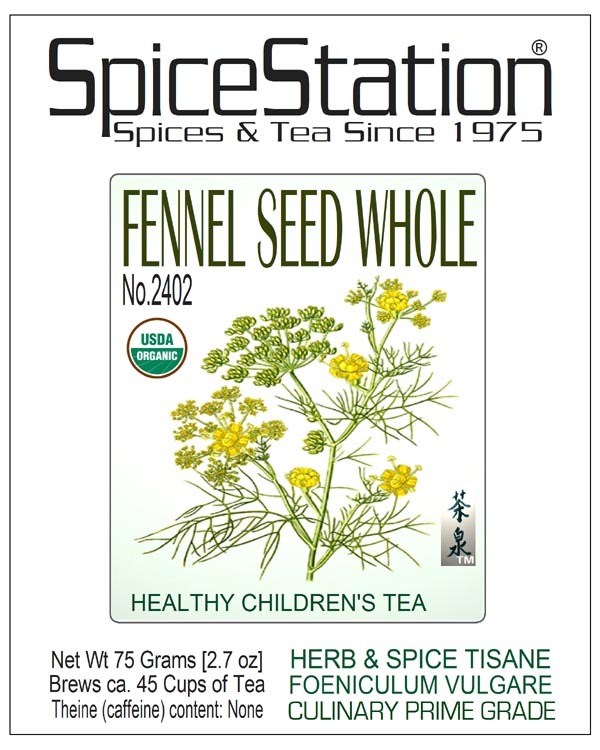 Spice Station Special Organic Grade | Foeniculum vulgare | Cultivated mostly in Europe, Sri Lanka and India. From there Gypsies brought this major beverage and cooking ingredient to the Western world to be enjoyed in a variety of teas, coffees and iced beverages. Spice Station Fennel seed whole. Organic Harvest Grade. Foeniculum vulgare. Wellness Tea & Culinary use. 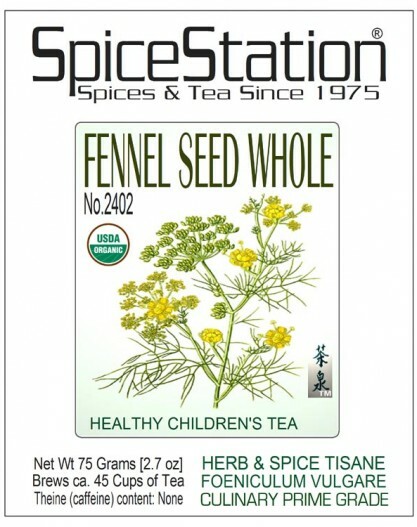 These organically and naturally grown and processed Indian Fennel seeds make a soothing and refreshing herbal infusion. It is suitable in remedies for children and a favorite ingredient in Gourmet kitchens. Enjoy also as Iced Tea. Preparation as an Herbal Infusion: Bring fresh water to the boil. 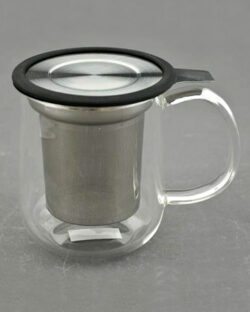 Warm up your cup or tea-pot by rinsing it out with hot water. Fill one teaspoon per 6 oz cup of whole or crushed seeds into the preheated tea-pot. Pour the boiling water into the seeds. 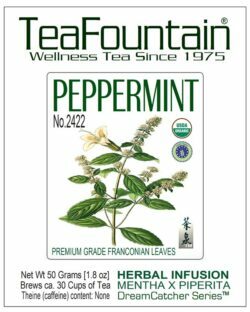 Let infuse up to 10 Minutes and serve as tasty infusion or half an hour before meals to stimulate appetite. The seeds make a great addition as a sweet-spicy touch in teas, coffees and other beverages. Try also in oven & stove-top recipes. Store cool, dark and dry! 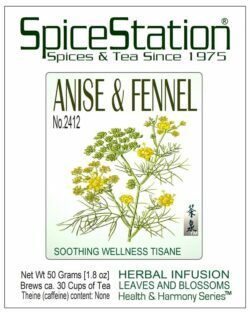 Compare with other fennel-related selections on our site. From there Gypsies brought this major beverage and cooking ingredient to the Western world to be enjoyed in a variety of teas, coffees and iced beverages. Spice Station Fennel seed whole. Organic Harvest Grade. Foeniculum vulgare. Wellness Tea & Culinary use. 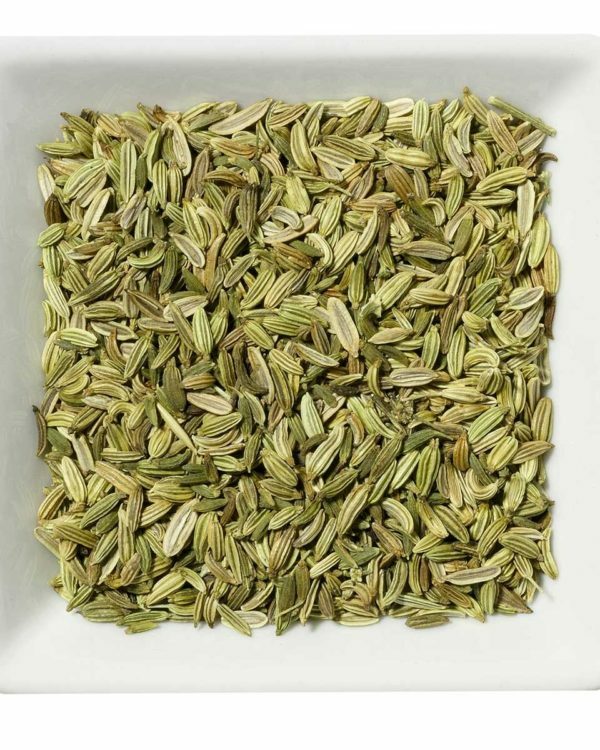 These organically and naturally grown and processed Indian Fennel seeds make a soothing and refreshing herbal infusion. 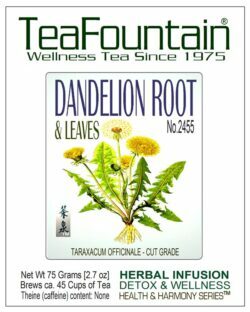 It is suitable in remedies for children and a favorite ingredient in Gourmet kitchens. Enjoy also as Iced Tea. STORE COOL, DARK, AND DRY! Since 1975 Spice Station carries Gourmet Prime Spices and Seasonings. We are offering some of these Spice Station selections, that are for decades appreciated in the professional culinary world, on our TeaFountain.com website. A separate SpiceStation.com website will follow.